Warm winter knee socks with 46% Merino wool provides pleasant warmth and feet comfort during versatile winter activities. 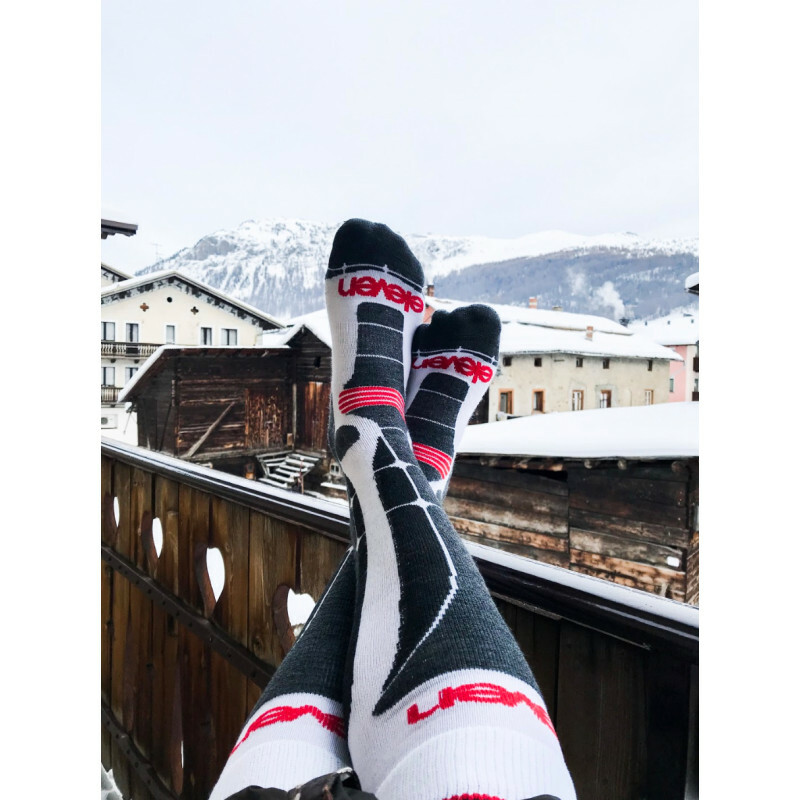 These are thermo socks for alpine skiing, cross-country skiing, winter running, orienteering sports, trekking ... be confident to spend hours of hours outdoors in the snow and cold without being worried about the comfort of your feet. Versatile long winter socks (knee socks) supports your winter fun and provides premium thermo comfort. Socks have ventilation zones on the sides that control moisture levels, while the toe seam is extra flat for maximum comfort. 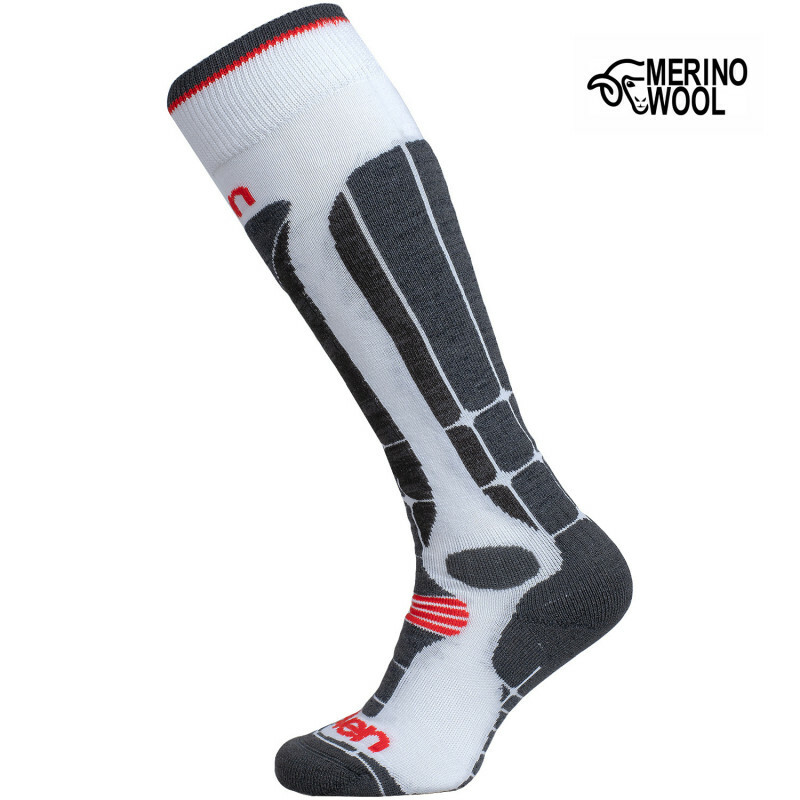 The combo of materials creates elastic, well-fitted, durable and comfortable winter socks with softening effect for your feet and prevention of nasty blisters after hours of skiing or snowboarding.